Muscle cars at a reasonable price are very rare these days, but this could be one of those listings. A 1970 Boss 302 Cougar is a rare beast with Boss 302 Eliminators made in 1970 fetching upwards of $60k+. 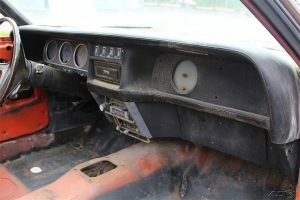 However, this example needs a complete restoration along with an engine and transmission. 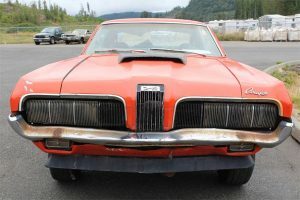 The description says that it’s missing most of the original Eliminator parts, there’s plenty of rust throughout the car and coupled with the missing engine and transmission means this Cougar has a long way back to full health. It’s not all bad news as the seller has located a Boss 302 service short block for $2800 if needed, and the Toploader 4 speed transmission should be easy to source. 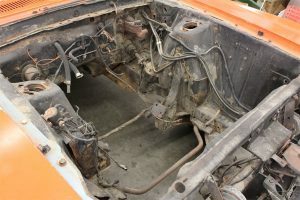 Also, ‘The quarter panels and rear frame rails were replaced just above the axle.’ and ‘The staggered shock plate was removed but a nice original does come with the car.’ – Showing some work has been performed on the car. inside the dash and seats are there, just needing as much restoration of the rest of the car. 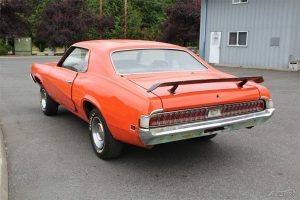 This Cougar Eliminator does come with a Marti Report saying its 1 of 1,233 with this paint code, and 1 of 92 with this paint/trim code. Yes, it’s a rarity and one for a reasonable price, but you will need a boatload of money to get this back in shipshape condition and a lot of patience.